Here's a simple way for the four major professional sports leagues and the NCAA to do more than Bruce Springsteen, Jon Bon Jovi, and maybe even FEMA to help New Jersey recover from Hurricane Sandy: Drop their lawsuit against the state's plan to allow sports betting. New Jersey was already hurting when Governor Chris Christie signed into law last summer a bill allowing gambling on sports at casinos and racetracks. Now the state has borne the brunt of a hurricane that flooded Atlantic City, washing away a chunk of the oldest boardwalk in America. Sports betting could help New Jersey turn things around, not only bringing in an estimated $150 million a year in taxes and licensing fees, but also filling its casino hotels on big sports weekends. The betting is supposed to begin on Jan. 9, 2013—if it isn't blocked by an inane and hypocritical lawsuit from the very leagues that stand to gain the most from it. The NFL, NBA, NHL, MLB, and NCAA claim that New Jersey's law will threaten the character and integrity of sporting events. In other words, introducing oversight and regulation into what is currently a $380 billion illegal industry will somehow invite foul play. It will be interesting to hear Paul Clement, the former U.S. solicitor general representing the leagues, make that case to a judge. No one does moral outrage like the NCAA, promoter of the ideal of the "student-athlete"—a clever legal confection designed to ensure that college athletes are never compensated as university employees. A $500 million (nonprofit, of course) enterprise, the NCAA has no problem with coaches making millions, but heaven have mercy on any "student-athlete" who swaps branded gear for discounted tattoos. And the NCAA is very disappointed in Governor Christie. So disappointed, in fact, that it canceled several collegiate championship games scheduled for New Jersey in 2013. Yes, it's true: The Division III men's volleyball championship will not be held in Hoboken next year. A small price to pay, sure, but the message is clear. If the NCAA can do this, what's to stop it from preventing more lucrative postseason tournaments from taking place in New Jersey? Or in other cash-starved states, for that matter, should their governors get any ideas? And remember, the Division I men's basketball championship tournament generated about $770 million in revenue last year. (The NCAA even squeezes sponsorship fees from the manufacturers of the ladders that the winning team uses to cut down the nets.) Why do so many people freak out when Norfolk State upsets Missouri in the first round? March Madness, baby! They all had $20 riding on Mizzou going deep into the tournament in their (illegal, by the way) office pool. It's hard to say what played a bigger role in the rise of the NFL: television or the invention of the point spread. I grew up watching Jimmy the Greek, amateur historian and betting analyst for The NFL Today on CBS, dole out pregame advice to gamblers. The only thing that's changed since then is that the "expert advice" is now available everywhere, most ubiquitously on ESPN—broadcast partners with the NFL—whose analysts are usually just as concerned with who's going to "cover" as with who's going to win. The NFL hasn't had any trouble embracing fantasy football, directing teams to display appropriate statistics on their Jumbotrons during games and forever fine-tuning its mobile application to maximize its value to the estimated 24 million people who play fantasy football every year—surely, just for fun. What's more fun than winning a few thousand bucks off a group of friends and acquaintances? That hasn't stopped pro football or the NCAA from cuing the indignity, much as they always do whenever the subject of sports betting comes up. This time, however, they and the other leagues have actually filed suit. What's their rationale? Sports gambling is illegal in New Jersey under a constitutionally dubious federal law, the Professional and Amateur Sports Protection Act. It was spearheaded by none other than Senator Bill Bradley in 1992, before the emergence of online, offshore sports betting. It's not the job of professional sports leagues or the NCAA to defend outdated laws. But the leagues and the NCAA no doubt want to curry favor with a federal government that provides them with the various exemptions they need to run their businesses basically however they please. For the leagues and the NCAA, it's a sure bet. They can continue to spout their pious rhetoric about how gambling undermines public faith in sport, even as they enjoy ratings and revenue inflated immeasurably by fans with a financial stake in the outcome of every play of every game. When the law is inevitably struck down, expect the leagues and the NCAA to publicly bemoan the court's decision—and then dive headlong into the new world of legal sports gambling, making sure they get a piece of the action. 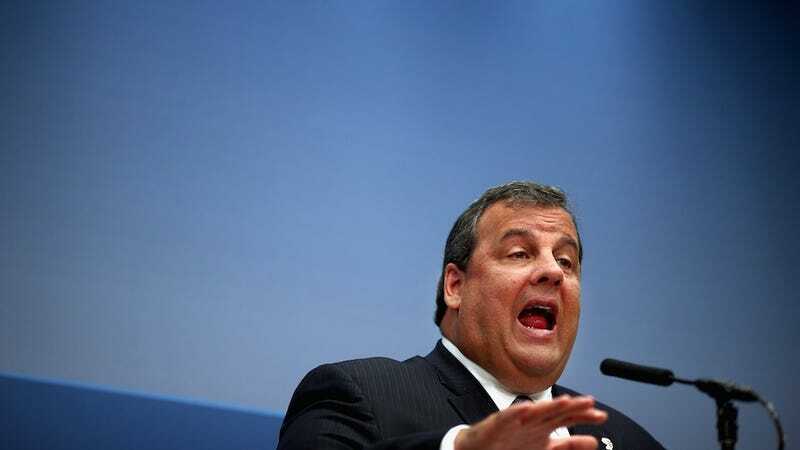 Meanwhile, Christie will be forced to drain his battered state's scant resources to fight a protracted legal battle against a deep-pocketed cartel that wins even if it loses. These are not exactly fair odds.